The Downers Grove Police Department has received reports of suspicious activity related to mail fraud and identity theft. In these cases, residents have received fraudulent credit cards labeled with their address, but containing an unknown person's name. Later, these residents received a note in their mailbox or were approached by a person who claimed that the mail was accidentally sent to the Downers Grove address. The suspect then asked the residents to mark the envelope "return to sender" and place the fraudulent credit card back in the mailbox. If successful, the suspect would return to pick up the envelope before the mail carrier arrived. One of the suspects was described as an African American male in his 20's, accompanied by an African American female in her 50's. They were traveling in a gray Lexus 4-door sedan. Other suspects and vehicles may be involved. 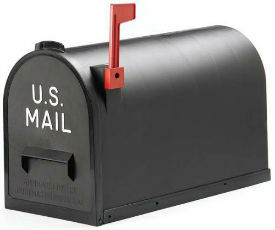 It is a federal offense to place or remove anything without consent from a mailbox that does not belong to you. Call 911 if you witness anyone tampering with your mail or a neighbor's mail or notice suspicious activity in your neighborhood. If you receive mail at your address with someone else's name, it could be related to fraudulent activity and should be returned by you to the U.S. Post Office for further investigation.